Man’s nature is completely different to My essence; this is because man’s corrupt nature entirely originates from Satan and man’s nature has been processed and corrupted by Satan. That is, man survives under the influence of its evil and ugliness. Man does not grow up in a world of truth or a holy environment, and moreover does not live in the light. Therefore, it is not possible for the truth to be innately possessed within each person’s nature, and moreover they cannot be born with a God-fearing, God-obeying essence. 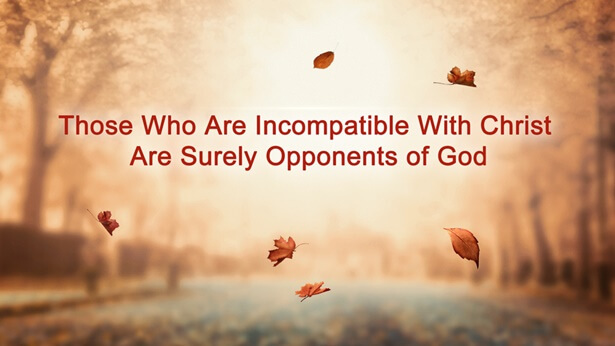 On the contrary, they are possessed of a nature that resists God, disobeys God, and has no love for the truth. This nature is the problem I want to talk about—betrayal. Betrayal is the source of each person’s resistance of God. This is a problem that exists only in man and not in Me. Some will ask this kind of question: Since they are all living in the world of man, why is it that all men have a nature that betrays God, but Christ doesn’t? This is a question that must be explained to you clearly. Mankind’s existence is predicated upon the incarnation of soul in turn. In other words, each person gains a human life of the flesh upon the incarnation of their soul. After a person’s body is born, that life continues until the greatest limit of the flesh, that is, the final moment when the soul leaves its shell. This process repeats again and again with a person’s soul coming and going, and coming and going, thus maintaining the existence of all mankind. The life of flesh is also the life of man’s soul, and man’s soul supports the existence of man’s flesh. That is to say, each person’s life comes from their soul; it is not their flesh that originally had life. Therefore, man’s nature comes from their soul, not from their flesh. Only each person’s soul knows how they have undergone Satan’s temptations, affliction, and corruption. Man’s flesh cannot know this. Accordingly, mankind is unwittingly becoming more and more filthy, evil and dark, while the distance between Me and man grows farther and farther, and mankind’s days become darker and darker. Mankind’s souls are all within Satan’s grasp. As such, it goes without saying that man’s flesh has also been occupied by Satan. How could flesh such as this and humans such as this not resist God and be innately compatible with Him? The reason Satan was cast down by Me into the air is because it betrayed Me, so how could humans extricate themselves from the repercussions of this? This is the reason that human nature is betrayal. I trust that once you understand this reasoning you should also have belief in the essence of Christ. The flesh worn by the Spirit of God is God’s own flesh. The Spirit of God is supreme; He is almighty, holy, and righteous. So likewise, His flesh is also supreme, almighty, holy, and righteous. Flesh such as that is only able to do that which is righteous and beneficial to mankind, that which is holy, glorious, and mighty, and is incapable of doing anything that violates the truth or morality and justice, much less anything that betrays God’s Spirit. The Spirit of God is holy, and thus His flesh is incorruptible by Satan; His flesh is of a different essence than the flesh of man. For it is man, not God, who is corrupted by Satan; Satan could not possibly corrupt the flesh of God. Thus, despite the fact that man and Christ dwell within the same space, it is only man who is occupied, used, and entrapped by Satan. By contrast, Christ is eternally impervious to Satan’s corruption, because Satan will never be capable of ascending to the place of the most high, and will never be able to draw near to God. Today, you should all understand that it is only mankind, which has been corrupted by Satan, who betrays Me, and that this problem will always be irrelevant for Christ. All souls corrupted by Satan are under the control of Satan’s domain. 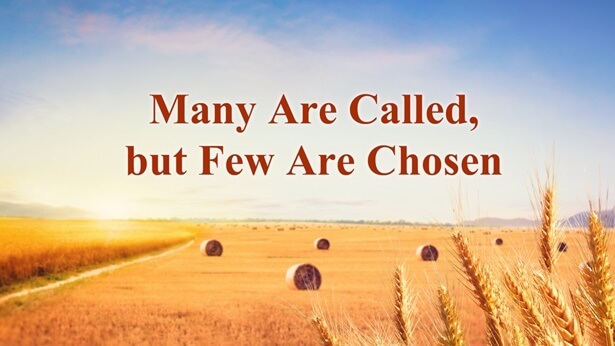 Only those who believe in Christ have been separated out, saved from Satan’s camp, and brought into today’s kingdom. These people no longer live under Satan’s influence. Even so, man’s nature is still rooted in man’s flesh. That is to say that even though your souls have been saved, your nature is still of its old appearance and the chance that you will betray Me remains at one hundred percent. That is why My work is so long-lasting, because your nature is too unshakable. Now you are all suffering as much as you can in fulfilling your duties, but an undeniable fact is this: Each of you is capable of betraying Me and returning to Satan’s domain, to its camp, and going back to your old lives. At that time it won’t be possible for you to have a shred of humanity or appearance of a human being as you do now. In serious cases, you will be destroyed and furthermore be doomed eternally, never to be incarnated again but severely punished. This is the problem laid before you. I am reminding you in this way so that one, My work won’t be in vain, and two, you can all live in days of light. Actually, whether My work is in vain is not the crucial problem. The key is for you to be able to have happy lives and a wonderful future. My work is the work of saving people’s souls. If your soul falls into Satan’s hands, then your body will not have peaceful days. If I am protecting your body, then your soul will surely be under My care. If I really loathe you, then your body and soul will immediately fall into Satan’s hands. Can you imagine what your situation will be like then? If one day My words are lost on you, then I shall hand you all over to Satan to doubly torture you until My anger has completely dissipated, or I shall personally punish you irredeemable humans, because your hearts of betraying Me have never changed. You should now all look into yourselves as quickly as possible to see how much of your makeup still betrays Me. I am impatiently awaiting your response. Don’t brush Me off. I never play games with people. If I say it then I will certainly do it. I hope you can all be people who take My words seriously and don’t think that they are just a science fiction novel. What I want is concrete action from you, not your imaginations. Next, you must answer such questions from Me: 1. If you are truly a service-doer, then can you render service to Me loyally, without any perfunctory or negative elements? 2. If you find out that I have never appreciated you, will you still be able to stay and render service to Me for life? 3. If you expended a lot of effort but I am still very cold toward you, will you be able to continue working for Me in obscurity? 4. If, after you have expended some things for Me, I have not satisfied your petty demands, will you be disheartened and disappointed toward Me or even become furious and shout abuse? 5. If you’ve always been very loyal and loving toward Me, yet you suffer the torment of illness, the impoverishment of life, and the abandonment of your friends and relatives or endure any other misfortunes in life, then will your loyalty and love for Me still continue? 6. If none of what you have imagined in your heart matches what I have done, then how will you walk your future path? 7. If you don’t receive anything you hoped to receive, then can you continue to be My follower? 8. If you have never understood the purpose and significance of My work, then can you be an obedient person who does not make arbitrary judgments and conclusions? 9. Can you treasure all the words I have said and all the work I have done when I’m together with mankind? 10. Are you able to be My loyal follower, willing to suffer for Me for life even if you will not receive anything? 11. Are you able to not consider, plan, or prepare for your future path of survival for My sake? These questions are My final requirements of you, and I hope you can all respond to Me. If you fulfill one or two of the things from these questions, then you still need to continue working hard. If you cannot accomplish a single one of these requirements, then you are surely the type that will be cast into hell. I don’t need to say any more to such people. This is because they are certainly not people who can be compatible with Me. How could I keep someone in My home who could betray Me under any circumstance? As for those who could still betray Me under the majority of circumstances, I will observe their performance before making other arrangements. However, as long as they are people who are capable of betraying Me, regardless of under what conditions, I will never forget and I will remember them in My heart while waiting for the opportunity to repay their evil deeds. The requirements I have raised are all issues on which you should inspect yourselves. I hope you can all consider them seriously and that you don’t deal with Me perfunctorily. In the near future, I will check the answers you have given Me against My requirements. By that time, I will not require anything more from you and won’t give you any more earnest admonition. Instead, I shall exercise My authority. Those who should be kept will be kept, those who should be rewarded will be rewarded, those who should be given over to Satan will be given over to Satan, those who should receive heavy punishment will receive heavy punishment, and those who should perish will be destroyed. That way, there will no longer be anyone to disturb Me in My days. Do you believe My words? Do you believe in retribution? Do you believe that I will punish all those evil ones who deceive and betray Me? Do you hope for that day to come sooner or for it to come later? Are you someone who is very afraid of punishment, or someone who would rather resist Me even if they have to endure punishment? When that day arrives, can you imagine whether you will be living amidst cheers and laughter, or weeping and gnashing your teeth? What kind of ending do you hope you will have? Have you ever seriously considered whether you believe in Me one hundred percent or doubt Me one hundred percent? Have you ever carefully considered what kind of consequences and ending your actions and behavior will bring upon you? Do you really hope that all My words will be fulfilled one by one, or are you very afraid that My words will be fulfilled one by one? If you hope that I depart soon in order to fulfill My words, then how should you treat your own words and actions? If you do not hope for My departure and do not hope for My words to all be fulfilled immediately, then why do you believe in Me at all? Do you truly know why you are following Me? If it is just to widen your horizons, then you don’t need to suffer such grievances. If it is so you can be blessed and evade the future disaster, then why are you not concerned about your own conduct? Why don’t you ask yourself whether you can satisfy My requirements? Why don’t you also ask yourself whether you are qualified to receive My future blessings?